"You may only succeed if you desire succeeding; you may only fail if you do not mind failing." If you want to crack ISI M.STAT. EXAMINATION, Then this STUDY ALPHA ACADEMY is the best for you! Joining the course in STUDY ALPHA ACADEMY can help you gain the finest experience, improve and harness your skills in various domains marketing. At the same time, you get to do it in a competitive context against thousands of participants where each one tries to build the most predictive path. STUDY ALPHA ACADEMY will show you the path to achieve your goal. Pushing your limit can result in better performance and smaller prediction errors. Being able to achieve high ranks consistently STUDY ALPHA ACADEMY can help you accelerate your career in ISI M.STAT. EXAMINATION. 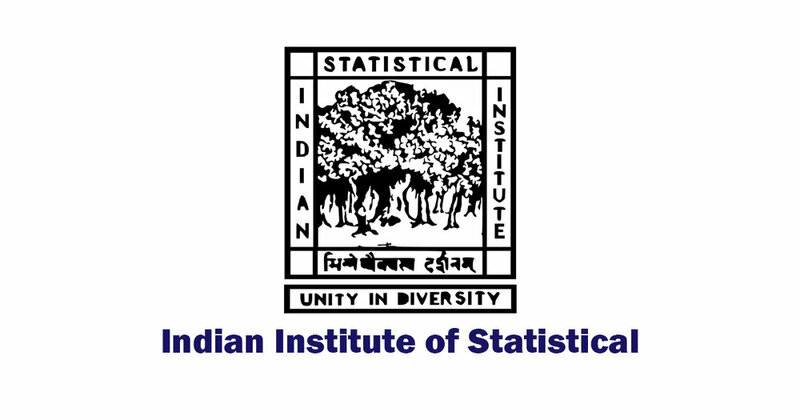 The Indian Statistical Institute (ISI) has a world class course for Masters in Statistics: the M.Stat. course. Besides the enormous amount of pride and confidence that comes on getting selected for any of the courses, a candidate goes through rigorous grooming and training, and at the end of the three-year long course, becomes a cut above the rest. Not only does the candidate get to work with stalwarts in the field of Mathematics and Statistics, but the student also gets the orientation and mentoring from the best, in order to be the best on a worldwide level. It is a well-known fact that many Fields Medallists visit the campus and conduct seminars, which the students of the Institute are encouraged to attend and interact. M. Stat. is a 2-year postgraduate course, the minimum eligibility for admission to which is the successful completion of graduation in a relevant discipline, from a recognized university. The course is essentially about collecting and interpreting statistics. practical math, like algebra, calculus. design side of statistics, like survey sampling and experiment implementation. Admission to the course is based on the candidate’s test score, academic profile, performance in the round of interview. 2-year M Stat: 3-year Bachelor's degree with Statistics as a full subject, or a B Stat/B Math Degree/a Statistician's Diploma/Senior Diploma/Post-Graduate Diploma in Statistical Methods with Applications from the Indian Statistical Institute. Stipend Rs.5000/- permonth (Offered at Delhi and Chennai). The entry into the M.Math. the course is governed by a tough entrance examination consisting of a two-round written exam and an interview. There are no provisions for awarding negative marks. My name Aman from Bihar, My father died when I was really young and there was immense pressure on me to support my family. Due to financial problem I was not able to join any famous coaching classes for my preparation of ISI M.STAT entrance exam. I got associated with Study Alpha Academy in the year 2012. The faculty is really good. Mr Sourav Das personally conducted my classes with his tremendous guidance and support throughout the process,I cracked the exam. Today my salary is in 6 Digits. Thankyou Sir. As a working professional, I always found it hard to take time out for ISI M.STAT preparation given the demanding nature of my job. So, the meticulously planned online classes, the ISI of Study Alpha Academy, which ran all the way down to the midnight hours, came as a boon to me and many others of my kind. I am extremely glad that I chose Study Alpha Academy. The faculties are highly knowledgeable and dedicated and never hesitate to explain a concept any number of times, till we are clear with it. * Even though the course “Introductory Computer Programming” is meant to be a one-semester course, the course may be spread over two semesters. Also, it is not mandatory to have a final written examination for this course. A student in the second year of M. Stat. will have to choose one from among the three specializations: (a) Probability, (b) Theoretical Statistics, (c) Applied Statistics. The Applied Statistics specialization consists of four different tracks as given below and a student opting for this specialization will also have to choose the track that he/she wants to pursue. The specializations and tracks, if relevant, to be offered at different centres in a particular academic year are to be announced by the Dean of Studies at least four months prior to the beginning of the Academic year. Each student is required to give his/her option of the specialization that he/she wishes to take at least two months prior to the beginning of the academic year. Students opting for the Applied Statistics specialization should, at the same time, also mention the track that he/she wishes to pursue. A student is required to take five courses in each semester of the final year. In addition to the compulsory courses for the various specializations as listed in the detailed syllabus, a student has the option of choosing the remaining courses that he/she wants to take. These optional courses may be chosen from the entire list of courses offered in the second year subject to the conditions specified in the detailed syllabus. However, each student is required to inform the Dean of Studies/Associate Dean about his/her choice of optional courses for a semester at least two weeks before the beginning of that semester.